Bryson One2One is the new care and support service from Bryson Care. We provide quality care, support and companionship in your home. 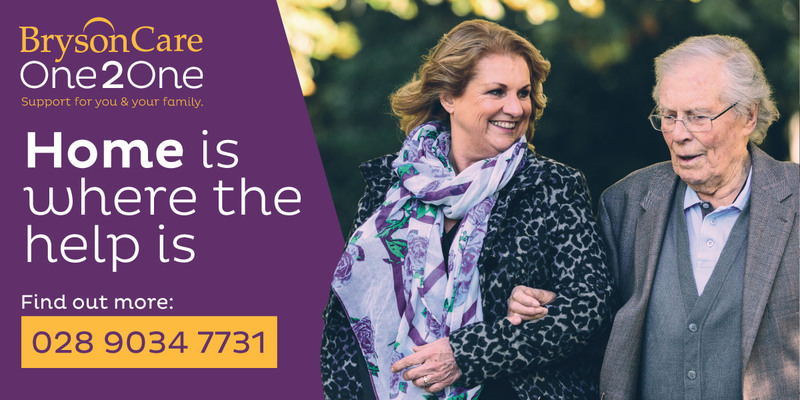 We are committed to providing an attentive caring service which improves the quality of life for those we support. Every visit is personalised to the needs of the individual be that housework, shopping, appointments or just getting out for fresh air. Our support workers have a friendly approach and invest time to get to know each individual and provide a helping hand when you need it... your home is where our help is.